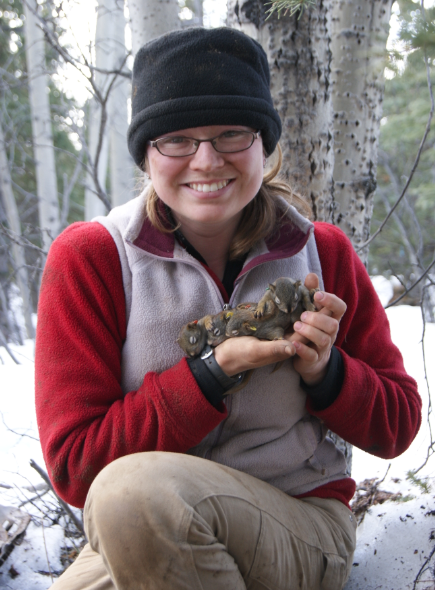 I am working with the Kluane Red Squirrel Project to study the trade-offs involved in investing in reproductive success and survival in male red squirrels. I am using long-term data to investigate how reproductive success and effort vary according to age and whether there are underlying life history trade-offs. I am using field observations to examine the relationship between individual-level resource availability and mating behaviour. I am also using genetic techniques to examine whether telomere dynamics are related to lifetime reproductive success and longevity. Check out my website or follow me on twitter for more information about my research.